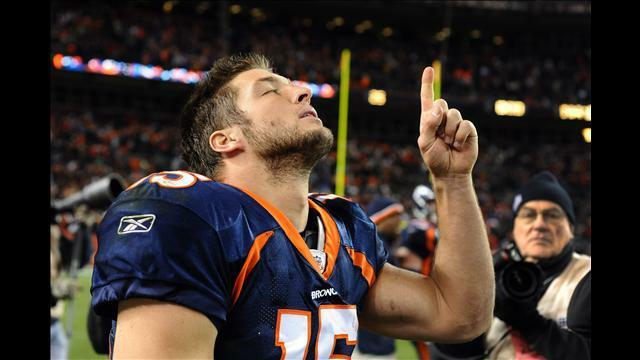 Feelings and emotions aside, Tim Tebow (NFL quarterback for the Denver Broncos) represents Christ well. Even if you think he should be quiet or tone it down a bit, you cannot deny the fact that he sticks to what he believes in and that is Jesus Christ. He represents Christ well. A week ago, a former NFL quarterback criticized him for always thanking God and talking about God. His response was, “If you’re married, and you have a wife, and you really love your wife, is it good enough to only say to your wife ‘I love her’ the day you get married? Or should you tell her every single day when you wake up and every opportunity? That’s how I feel about my relationship with Jesus Christ; it is the most important thing in my life.” This is an example of how we should live our lives. It doesn’t mean we should throw God in peoples’ faces, it means that if Christ truly is the most important thing in our lives, shouldn’t we want to tell people about him? Wouldn’t we want to take any chance we could to give thanks and give him the glory for everything in our lives — whether that’s scoring touchdowns or getting an A on a test? He later made a comment that said if all we are doing is scoring touchdowns and winning football games, we really haven’t done much as football players. This statement is true for all of us as well. If all we do while we are at college is go to class, study, and play video games, or go to parties, we really haven’t done much as people.